Available locally or worldwide via video chat. and how to support them. All you need is a mobile device, an internet connection, and 2 hours of your time. Guidelines for choosing what to keep, what to store/rotate, and what to donate or trash. Recommendations for tools and supplies. How to facilitate use of the space with your child, including clean-up, setting limits, what “play” looks like, and how to support independence. Age-appropriate expectations and practical advice for daily routines. An estimate of hours for completing the project together. 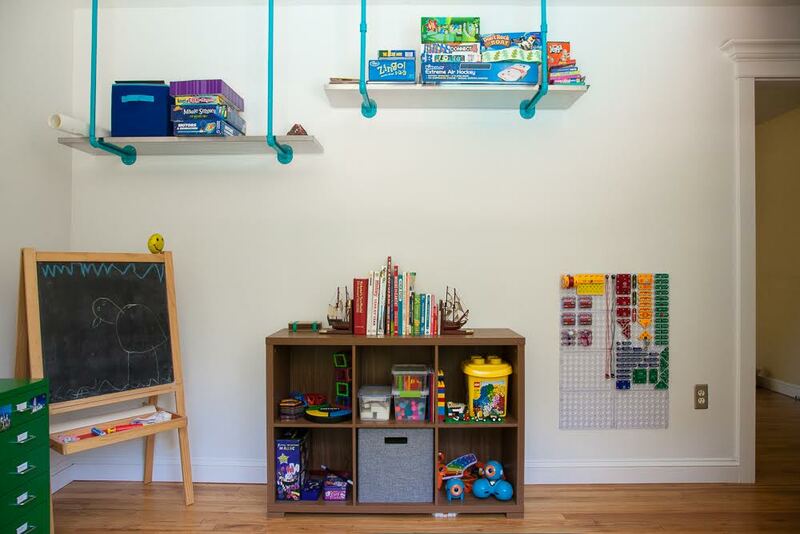 Get a sneak peak inside Rachel's playroom makeover. First, we talk on the phone so I can get to know your family's needs. I'll ask you a few questions, and offer any resources I can. Then, we'll choose a day and time for the visit at your home. On the first visit, we'll do a walk-through of your home to see what is working well, and determine any changes you'd like to make. We'll also talk about your children's needs at this age and I'll answer any questions you have. Then, I'll create a custom plan for preparing your ideal space for your family. I'll go over any recommended materials to get, how to lay them out, and general guidelines for organizing your space. Now you can take on the plan yourself, or schedule working visits to complete the project! Enjoy your new space and peace of mind! Can't I just look up how to do this on the web? There are plenty of how-tos, checklists and prepared environment examples around the web, and no doubt you could spend hours researching what is best to include in a space for your child now. Know that there are many, many companies trying to sell you their product as a necessity for parenting! Your child's needs will change over time, and you'll need to complete this research process all over again. By working with me on your your project, you'll not only get a tailored plan for your family from a trusted professional, you'll see how to use the space now, and how to adapt it in the future, for just two hours of your time. What are the benefits of completing the project with you, instead of doing it ourselves? Often, finding the time to organize your space is the biggest hurdle! Having a organizing partner who can provide a clear head and a fresh set of eyes can mean the difference between a 2 day project and a 2 month one. I can provide that extra motivation and support to really go through and create a space that truly works. Are their lower cost options? Check out our Ask an Expert services or online courses. I'll provide you advice and insight by phone or video chat. If cost is truly an issue for you and your family, please let me know. I'll do what we can to work with you in your situation. For a first visit, you should do nothing. No cleaning up or tidying! I've been in many family homes, and understand the realities of living with small children. I promise not to pass judgment on your home! Leaving everything as it normally is will better allow me to create a workable flow and practical design for your space. You'll need a portable device with Skype, Google Hangouts, or another video chat program installed, and an internet connection for our visit. It's that simple! Home Projects are available worldwide through Skype or Google Hangouts! If you'd like me to show up at your doorstep in person, contact me to learn when I'll be in your area or ask for travel rates. Local in person visits are currently available in the continental US.